Yesterday, much to my dismay, we hiked down the Tallulah Gorge. I was sick with the remnants of some winter cold? Don't know but, it just about did me in climbing out of the gorge. 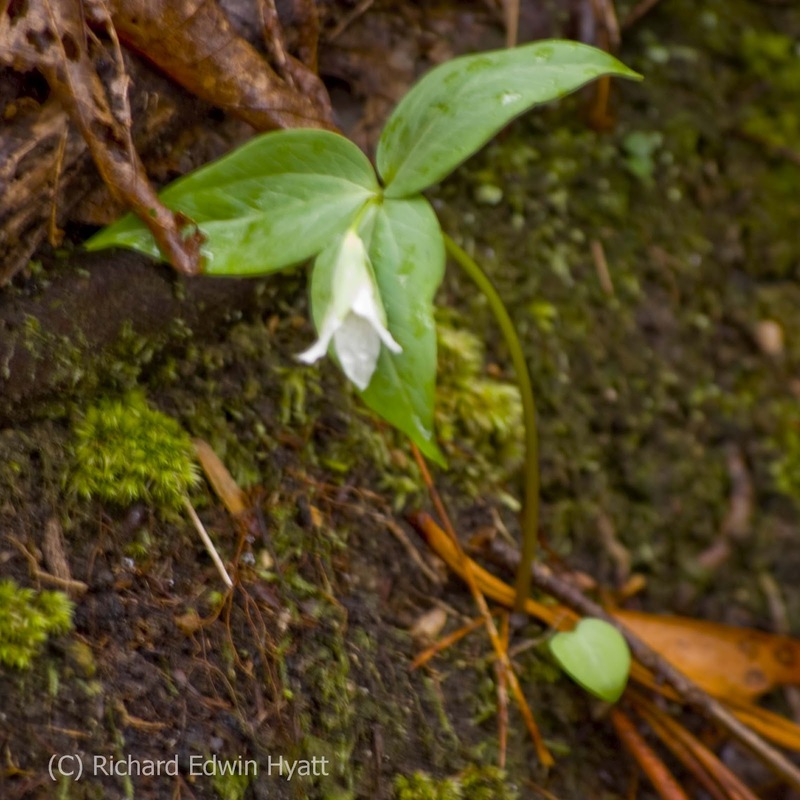 On the flipside, that is the south side, pardon the pun, we found the Persistent Trillium blooming. Knowing I wasn't feeling well I didn't carry my camera with me. Still I knew we might find them and I also knew I had a photo from previous years and you will see it here. The Persistent Trillium, Trillium persistens grows only within 4 miles of Tallulah Gorge, a Georgia favorite. And, you can go see them right now. You will find them about half way up the stairs on the south side of Tallulah Gorge. How exciting! My grandmother's people are from Tallulah Gorge and I love the thought they might have recognized this flower. Only within four miles? Amazing!